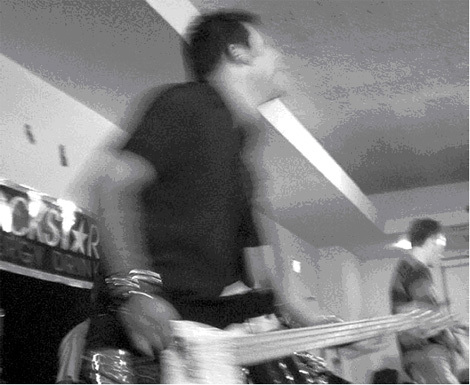 Mass Giorgini: Producer/Engineer (Anti-Flag, Rise Against, Alkaline Trio, etc), CoProductions include Billie Joe Armstrong (of Green Day), Kris Roe (of the Ataris), John Strohm (of the Lemonheads), Paul Mahern (producer of John Mellencamp, Iggy Pop), and Anjali Dutt (producer of Oasis, My Bloody Valentine). Sonic Iguana Studios founder. Screeching Weasel bass. Squirtgun bass/b. vocals, Common Rider bass/sax. Occasional contributor to Punk, Rock Sound, and Punk Planet magazines. I am woefully past due on posting new blogs, so I have decided to reprint here an interview I did with Lafayette-area magazine Tipp-C in December of 1995. As the distribution of the free publication is limited to local stores and restaurants, I thought it might of interest to the readers of my blog. December 7th - January 11th, 2006.
with Jimmy Eat World and Blink-182. and is a graduate student in Spanish. does with someone over 22. When did you first pick up the bass then? must have been twelve at the time. I guess we’ll just dive into it from here. I was drawn to these kinds of social issues. actually rather liberal, and very anti-war. or beliefs do not reflect the majority. thirty-seven year olds go to punk shows? Why stay in the scene then? combination of the music and the message. I still believe it can change the world. now. How do you feel about that? like the naysayers, I do miss some things. the street, instantly there was a connection. of us together… we just need to find it. As a scene, we’ve gotten big and fat. like that. Not without living it, learning it. or become it, if you didn’t live back then. almost impossible to hold all-ages shows. the river, two or three shows per week. and get two hundred. It worked for a year. Fat Records. It was so much work though. only get thirty people. And they were great! and slept on my floor. you’d ever hear that word on the radio. wouldn’t hear on the radio. want to paint them to be saints, either. because of precisely such problems. (Laughing) I should have been a preacher. Thanksgiving Weekend, so I understand. home, back to the start. passion, will rise above any style or genre. well-attended, there will be more shows. rivalries, and that destroys music scenes. The same event of which I wrote in my prior blog entry generated more than just one media article, apparently. In the Summer 1973 issue of the Purdue Alumnus magazine, there appeared an extensive article about astronaut Eugene Cernan’s speech and its subject matter, as well as an additional photograph depicting my presentation to Cernan of a painting by my father. MASSIMO GIORGINI, son of Prof. Aldo Giorgini, Civil Engineering School, presents an enamel painting to Capt. Cernan. Prof. Giorgini, who painted the large mural in the CE building, also painted the enamel for Cernan. In the background is a member of the Quarterdeck Society, NROTC honorary, and Gloria Peterson, a graduate student. The caption above, which appeared alongside the photograph in the aforementioned publication makes mention of “the large mural in the CE building” painted by my father. The name of the work was Hymn to Achievement, and was a work done on commission for the Civil Engineering building on the Purdue University campus in order to commemorate the technological advances due to research in academic areas – as witnessed in engineering itself, for instance. The mural was unveiled coincident to one of the speeches by Cernan, entitled “Technology and Man’s Future.” However, far from being a mere glorification of the marvels of scientific breakthroughs, the mural also represented the awesome negative side of this same “progress” by displaying an image of a mushroom cloud, an animal skeleton, and a dying soldier vis-a-vis images representing religion, philosophy, and modern architectural structures. Although some of the members of the committee that commissioned the work were contrary to the less than laudatory representation of modernization depicted therein, the agreement signed by my father included a provision for artistic license and interpretation, and thus the mural had to be accepted as painted. Furthermore, my father argued that a reminder of the importance of considering both sides of such equations was especially suitable to a speech regarding technology during a memorial conference to two men killed precisely by their interaction with a product of scientific progress. and the last man to walk on the moon. as is Neil Armstrong, the first man to set foot on the moon. How the reporter managed to rend “Massimo Aldogiogine” from “Massimiliano Adelmo Giorgini” is one of the inexplicable mysteries that led to my choosing to go by “Mass Giorgini” by the time my first album was released many years later. This is one of the longest stretches I have ever gone in my life without playing a live show -- but the cause that is bringing me back onto the stage is a good one: Squirtgun will be doing a one-off show as a benefit to raise money for a Purdue University graduate student (Laura Poggi, of Florence, Italy) whose recent medical difficulties resulted in a $40k-plus medical bill. Severe pain in her stomach area sent her to the emergency room, and what began as a suspected appendicitis turned out to be a much more severe congenital intestinal-colonic defect. Her University-supplied insurance guaranteed her through her role as a Spanish Language TA only covered 80% of the bill, and she was left responsible to cover the shortfall (as well as technically being required to arrange her own teaching substitutions). Fortunately, an outpouring of generosity from staff and teaching assistants within the department was able to fully arrange for alternate instructors for all of the sessions she had to miss. However, she still cannot afford to cover the remaining balance, and her medical complications continue to incur more expense. The members of Squirtgun decided to do the show in an effort to put a dent in the debt. In a famous scene from Don Quixote, an Inquisition-era priest whose sole role was to be received at the homes of the nobility (essentially living like a king in exchange for not condemning anyone to the rack and screw) passes judgment on the self-made knight errant, telling him to stop wasting his time on nonsensical and fruitless adventures, and to return to his home and take care of his family and affairs. A tip of the sword to the true knights who have spoken in defense of my honor. (1) Forgiveness is asked of Miguel de Cervantes Saavedra, whose original, eloquent Spanish I translated as well as possible in the above citation. On the eve of what would have been my father’s seventy-first birthday, I went looking for an old encyclopedia – I believe it was in order to determine when the line “Stultorum infinitus est numerus” (“The number of fools is infinite,” Ecclesiastes 1:15) was removed from modern versions of the Bible. Although the aim of my search was not fulfilled, I did run into a dusty, old edition of La Divina Commedia by Dante Alighieri in the original Italian. It was in excellent shape, and contained all of drawings done by Gustav Doré early in the 19th century. My curiosity got the better of me, and I began to turn through the pages. There, inside the front cover, I found a jewel for which I have been searching on and off for over ten years -- a sort of personal “holy grail” for which I had all but given up hope. The find was not in its complete form, but only partial. Nonetheless, it has given me new hope that the possibility exists to find even more. In 1982, while I was a sophomore in high school, we began to read portions of The Divine Comedy. I recall complaining to my father that it was a very stuffy read, and that even when I could manage to stay alert through several lines, I could rarely decipher clearly enough what exactly was happening. When my father heard that, he reacted in a way that reflected his surprise and simultaneous disappointment – after all, this story-poem had been one of my father’s greatest literary joys, and he even knew entire cantos from it by memory. He immediately asked how we were reading the text, realizing that there would be no way in which the class could be studying it in the original Italian. When I told him that we were using an English version, he wanted to see the book. After only a few glances, he already felt that much had been lost in the translation. He pulled out the edition which I was to rediscover twenty-three years later, and began comparing the lines. One thing led to another, and soon enough my father embarked on a search for every English translation of La Divina Commedia that he could find. Although a few more modern ones existed than the classic Henry Wadsworth Longfellow translation we were using in our class, my father still felt that more could be done to preserve the feel of the original. He decided to do his own translation, maintaining the original meter, rhyme scheme, and meaning of the lines. However, he soon realized that the task was difficult. Later, that it could more aptly described as monumental. Then, eventually, he was struck by the awareness that a perfect translation was impossible. Such difficulties exist in all translations, but are compounded in poetry because of the additional restrictions of meter and rhyme. He slowly began the undertaking, eventually completing “over 80%” of the Inferno, according to my last memory of discussing the subject with him – I must admit that I was not nearly as interested in the topic at the time as I am now. Regardless, during my father’s entire bout with glioblastoma multiforme, an incurable form of cerebral cancer, it never occurred to me to ask where he kept his notes and drafts of this work. Only in the months following his eventual demise did I recollect the project he had begun. So, when on March 14 I found two sheets of paper – 73 lines in all – of the translation my father had been doing, I was ecstatic. Looking over it, I believe that it holds up well to the other translations of those same lines that I have found, and in most cases feels even better – possibly because the meter is exactly matched. These elements of meter and rhyme are an interesting quality of the poem. It is widely assumed that Dante Alighieri invented this form, called Terza Rima, precisely for use in The Divine Comedy. The entire work is divided into numbers of sections that have arithmetical and symbolic significance. The numbers of books, cantos, levels, and rings were all specifically chosen by Dante to fit a specific emblematic plan. Part of this scheme involves the iambic meter (eleven syllabic beats) of each line, and the fact that each tercet (three-line stanza) of the poem fits into a larger scheme of aba, bcb, cdc, ded, efe, and so on. All of these technicalities aside, Dante’s masterpiece is full of beautiful imagery, storytelling, and is rich with metaphors and symbolism. It is a work that was powerfully critical of the contemporary politics of Italy at that time. Further, it was simultaneously pious with its treatment of the Catholic faith while being incendiary in its criticism of the secular concerns of the papacy. In fact, although Dante is still considered one of the most famous Florentines of all time, he was never able to return to Florence again after the publication of this work due to a death sentence issued against him by political opponents he had derided in his poem. What follows are several sets of the same two tercets: first, the original lines by Dante, and then several different translations of the lines into English. Most are in poetic stanzas, although several have discarded the meter and rhyme. A few are in prose form, having abandoned the poetic form altogether. The lines come from the fifth canto of the Inferno, which is the first book of the Divine Comedy. At this point in the narration, Dante and his poet guide, Virgil, are walking through the Second Circle of Hell, where the Lustful are punished. The sinful souls are being blown about eternally in a perpetual wind, flying through the air in a sort of tornado. Among these damned spirits are famous historical and political figures, including some knights and their ladies. In keeping with the spirit of all of these translations, I decided to do a version of these six lines myself, keeping the meter, rhyme, and meaning of the original as faithfully as possible. I must admit that the task is enormously difficult, and that if I were to spend an equal amount of time on each of all the lines of the work, I would never finish the translation before my own arrival at either Inferno, Purgatario, or Paradiso. And still each coming ghost the poet nam’d. To see this wreck of souls my heart recoil’d. That skims so light before the blast untam’d ! He pointed as they passed, until my mind Was wildered in this heavy pass to find Ladies so many, and cavaliers and kings Fallen, and pitying past restraint, I said, "Poet, those next that on the wind appear So light, and constant as they drive or veer Are parted never, I fain would speak." and I was swept by pity and confusion. so lightly on the wind and still so sad." than pity seized me, and I was like a man astray. and seem so lightly carried by the wind." pity overcame me, and I was well nigh bewildered. and seem to be so light upon the wind." pity confused my senses, and I was dazed. Pity gripped me, and I lost my bearing. And appear to be so light upon the wind,"
and I was as if dazed. 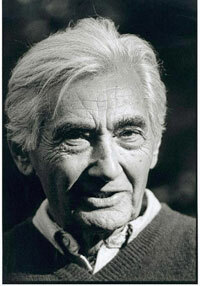 The popular success of A People’s History led directly to Zinn being widely held within liberal circles as a sort of “Champion of the Underdog.” Zinn has taken that title and made a second career with it, writing several books, articles, and even plays that expanded his role from Professor of History into recognition as a political theorist and outspoken social activist. His working-class upbringing and years of military service during the second world war have given his writings a common-sense approach far removed from the stereotypes of grandiloquent intellectualism that conservatives typically ascribe to liberal thinkers. I have been fortunate enough to have been asked to master an upcoming release that will feature spoken-word audio recordings of Howard Zinn along with songs from punk band Resident Genius, an act known for its involvement in activism and lyrics dealing with socio-political issues. The release is to be issued in CD-EP form later this year by Thick Records.